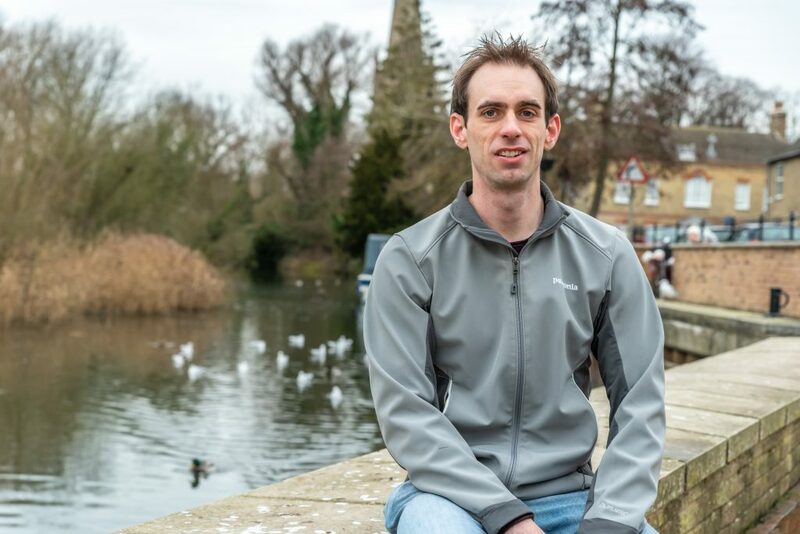 Mark Lindell from Cambridge was on the brink of suicide, believing he had exhausted every possible course of treatment for his depression, when he discovered Magstim’s Transcranial Magnetic Stimulation (TMS) therapy. Magstim TMS uses a series of repetitive, brief and highly focused magnetic pulses to stimulate brain cells. It is safe, effective and non-invasive and has few of the known adverse effects associated with medication or invasive treatments like ECT. In depressed patients, electrical activity in certain areas of the brain is reduced. Magstim TMS uses a focused electromagnetic coil to rapidly pulse a magnetic field to the targeted area of the brain. This induces a small electrical current which stimulates the targeted brain cells into activity, increasing brain activity back to a normal level. Now one year on from his Magstim TMS treatment and in complete remission, Mark is urging mental health practitioners to research every option for their patients and open doors to treatments like TMS, which is accredited by NICE (National Institute for Health and Care Excellence) and proven to be an effective treatment for Treatment Resistant Depression (TRD). “I have been absolutely amazed by the results. My life has been completely transformed. After around three weeks of daily treatment, I finally saw a crack of light in the dark and suddenly something inside me told me I was getting better"
“Magstim TMS is not as widely available as I believe it should be,” said Mark who, at 31, had to give up his job as a project manager in engineering and move back in with his parents when his depression reached an all-time low. “I believe there is a heavy reliance on antidepressants and that many medical professionals still remain unaware, or unsure, about other options such as TMS. Despite me never showing any sign of improvement on medication, I was repeatedly prescribed different courses of antidepressants. Had I been told about TMS earlier, my life would have been very different. 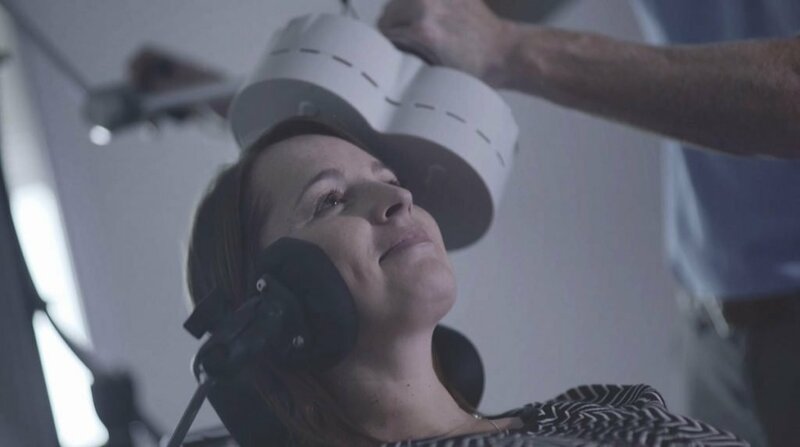 Mark was introduced to Magstim’s Transcranial Magnetic Stimulation (TMS) by his psychotherapist, who had recently heard about the therapy and its success in treating TRD. 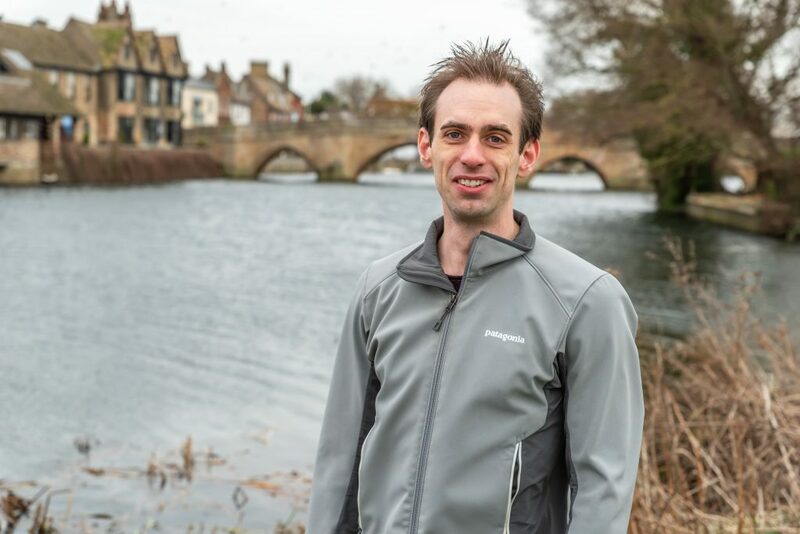 In June 2017, Mark started Magstim TMS treatment at the NHS’ Centre of Neuromodulation at Berrywood Hospital in Northampton under the care of the centre’s Medical Director Professor Alex O’Neill-Kerr. He visited every week day for 6 weeks for 30 minutes of treatment, which involves placing a coil over the patient’s head and administering a series of repetitive, brief and highly focused magnetic pulses to stimulate brain cells. “I have been absolutely amazed by the results. My life has been completely transformed. After around three weeks of daily treatment, I finally saw a crack of light in the dark and suddenly something inside me told me I was getting better. I couldn’t remember life without depression, as I developed it at such a young age, so it was a strange feeling as I felt myself coming out of the darkness for the first time. “My mood continued to improve over the next two weeks. Then, following the end of treatment, I continued to improve until the depression totally disappeared . I felt an energy I’d never felt before and a full spectrum of emotions – not just happiness and joy – but also passion and even anger, all of which had been numbed by the depression. “Oddly, I always thought that if I ever got better I’d somehow be a different person but I wasn’t. I was still me but I could finally feel everything and see everything for the first time. It took me a long time to get used to dealing with all these emotions, which had been missing for most of my life, but I finally felt excited and positive. I had a future free from depression to look forward to. I finally have the chance to be the person I was meant to be. “Looking back now, it feels like a bad dream. I can’t exactly remember the feeling of depression but I can remember the bad times. During my psychotherapy I took to photography as a way of trying to deal with and reflect the way depression felt. It was a very dark time and the photographs terrify me now. "We see these sorts of life changing responses in a significant number of the people we have treated with Magstim TMS"
“Magstim TMS literally saved my life. This was my last attempt at dealing with something that had affected me for all of my teenage and adult life. It’s hard to believe that something so simple and non-invasive could have such staggering results. It’s even harder to believe that more mental health professionals are not referring their patients for it. Magstim’s Group CEO Lothar Krinke said “TMS is a proven therapy that is recommended by NICE (National Institute for Health and Care Excellence) but access to TMS is still limited and it is not universally offered by all NHS health trusts, meaning this life-saving treatment is not open to everyone who may need it. 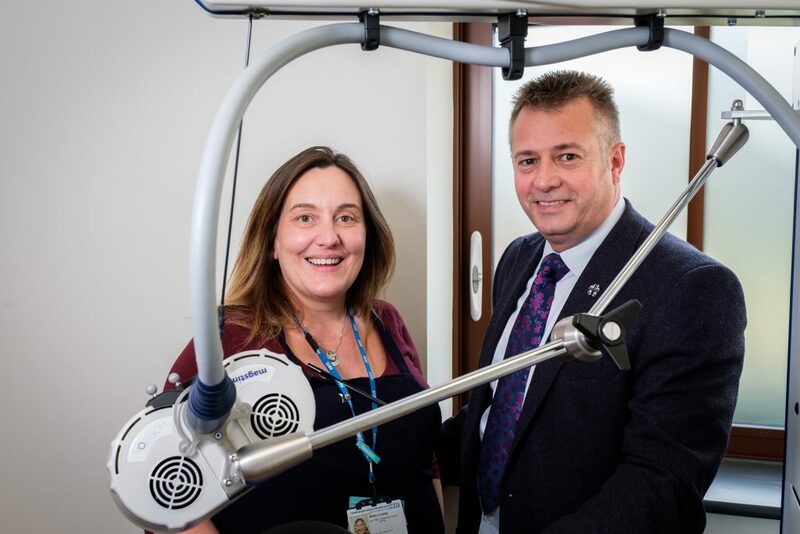 It is a cost-effective option for patients who haven’t responded to medication treatment for their depression so we hope more NHS trusts will take up TMS and offer new hope to their patients. Magstim is the pioneer of Transcranial Magnetic Stimulation (TMS). It operates globally with offices in the UK, US and the Netherlands with its major research, development and manufacturing centre and European headquarters in Whitland, Carmarthenshire, UK.